"The Only Calling of the Physician is to Cure Rapidly, Gently and Permanently"
At Addison Chiropractic & Kinesiology we utilize Homeopathy in conjunction with other therapies to support long-term healing benefits. 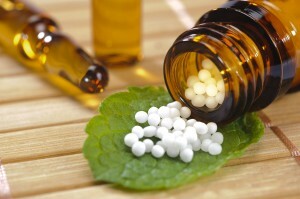 Homeopathy is an inexpensive, non-toxic alternative that continues to work over time. It supports the body, helping people to promote your own healing advantages. Homeopathy is phenomenal for adults, children and even pets! The major theory of Homeopathy is that if a large dose of a natural substances produce symptoms. If that same substance is diluted down then it will wake up your bodies natural ability to heal those same symptoms. A Homeopathic treatment can consist of a careful examination of the patient's symptoms is compared to a Homeopathic Repertory containing literally thousands of substances. The Homeopathy that closely relates to the behavior and symptoms of the patient is then determined and administered. These tiny pills taste sweet and dissolve quickly. In the late 1700s, Dr. Samuel Hahnemann made his mark on the world of holistic medicine when he became "The Father of Homeopathy." Through clinical trials based on the principal known as the "Law of Similar's," Hahnemann determined that substances producing similar symptoms as the diseases themselves could give healing properties by reducing the concentration in the substances through multiple dilutions, which in turn strengthened the effectiveness of the "homeopathy" through this Dynamization.